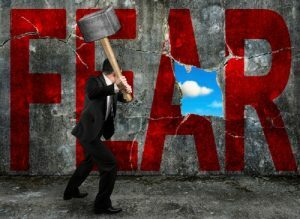 For the past couple years, I have been on Auto/Mate’s Go Team and as I have worked with our clients and observed others, one thing I’ve noticed is that fear of the unknown is real. As I remember things from my time in a dealership, most of us go through our daily routines with very little thought, because we have mastered the tools and knowledge we need to complete tasks and do our jobs well. When we achieve mastery of our jobs, we feel confident and comfortable, and let’s face it, life becomes a lot less stressful. But with comfort comes complacency. How often do you ask yourself if there is a better way, an easier or faster way to complete familiar tasks? If you’ve been in your position a long time, it might be a while since you’ve done an honest self-assessment of how you do your job. Not how well you do your job, but literally how you are performing some of the functions within your job. It’s rare that we push ourselves out of our comfort zone and take a leap of faith to try something new unless we absolutely have to. One of the greatest things about Auto/Mate is that we are forever updating our dealership management system (DMS). We have an entire dev team that works full time improving the way our software functions. We are constantly rolling out new features and changes to existing features. Our goal is to make our software faster and easier to use so that you can get more done in less amount of time. The problem is, some of you ignore these updates and changes. I don’t blame you. When you’re used to doing a task a certain way, you don’t want to take the time to learn how to do it differently. Or perhaps you’re afraid that you won’t be able to learn how to perform the same functions as quickly or efficiently using a new method. But I guarantee that if you try, you will learn, and you will be even better at your job. So, how do you embrace changes to your software, rather than resist them? The best and simplest way is to allow Auto/Mate to work with you and your staff, either one-on-one or in groups. We will be right there with you, 100 percent of the time because that’s what we live for. As a Go Team Ninja, my job is to roll out the newest and the best of our software. Yup, I know that’s super cool right? Beyond that and specifically, my job is to make sure you have the tools, knowledge and confidence to take the necessary steps toward change. When you take that leap of faith, you will be pleasantly surprised at how painless it is, and you will wonder why you didn’t do this a long time ago. Like magic, you will be able to get more done with an even greater degree of confidence than you have now. The next time you ask yourself, is there a better way to do this? Is there a more efficient method for accomplishing what I’m trying to do here? The answer is probably yes. All you have to do is take a leap of faith, pick up the phone and call the Go Team. Allow us to show, guide and teach you exactly how to do something. We’ll do it with you and if necessary, for you. We know you do your job well, but our job is to help you do it even better. Find out how we can help you overcome fear of change by calling 800-371-3970. Ask to speak with someone on the Go Team, or email support@automate.com.